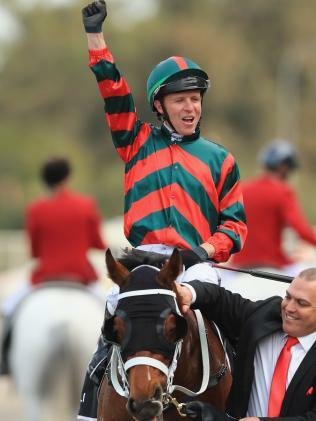 CHRIS Waller described The Autumn Sun as special, jockey Kerrin McEvoy spoke of the colt's powerful engine - and anyone who saw his win at Rosehill Gardens on Saturday won't forget it in a hurry. 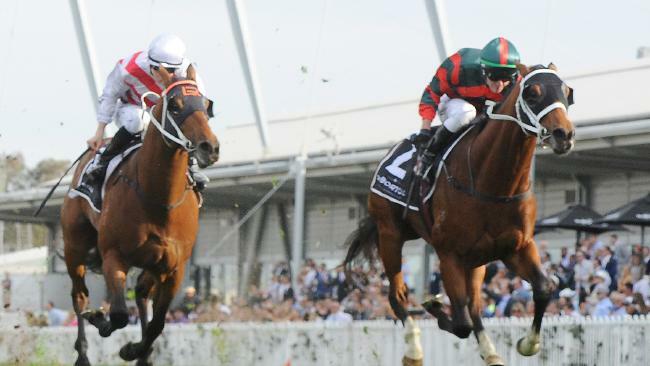 The Autumn Sun's effort to win the Group 1 $1 million Golden Rose (1400m) was extraordinary. Superlatives don't do it justice. This was arguably the most outstanding win in the Golden Rose since the race was introduced 15 years ago. The Autumn Sun settled at the back of the field, was still a clear last on the turn and had to be eased off heels at the top of the straight before surging home wide out to overhaul a crack field of three-year-olds. Waller said: "I don't need to say too much. The Autumn Sun is a very good horse, as you saw. "When the draw came out and he was 11 of 11. It wasn't going to be easy but I'd rather him out there because I know how good he is. "But I kept thinking, 'Please Kerrin, get to the outside' when they came into the straight. "I thought the stablemate (Zousain) was home. He looked every bit like his dad Zoustar surging to the front in the same race (five years ago). This was a win worthy of a race that boasts a stallion-making reputation. The Autumn Sun is bred to be special - by Arrowfield Stud's super sire Redoute's Choice out of the Galileo mare Azmiyna, herself a half-sister to Group 1 winner Azamour - and is worth every cent of his minimum $20 million price tag. McEvoy was also in awe of The Autumn Sun's fast-finishing win. 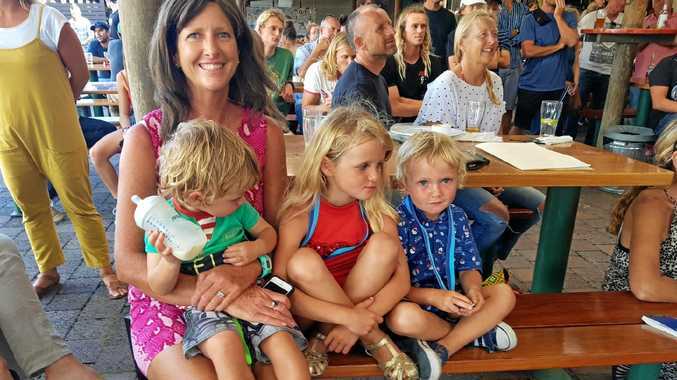 "This colt took all before him in Brisbane then was desperately unlucky last start first-up, but well played to Chris and the team - they put blinkers on him today and it has worked,'' McEvoy said. "He had to do it all, he was still last at the 300m but what a powerful engine he's got. "To do that in what I really think is below his best trip shows how classy he is. "You can argue that some of those (rivals) are six or seven-furlong colts racing over their best trip, where we really feel this horse is a miler-2000m horse. "I think that's where his future lies, but a stunning colt to ride. He's got a great attitude and a great temperament and I'm thrilled to be on his back." The Autumn Sun ($4.40) unleashed a devastating finishing burst to wrest victory from stablemate Zousain ($8) right on the line with favourite Graff ($2.90) a length away third, just in front of Sandbar and another Waller-trained colt, Lean Mean Machine. 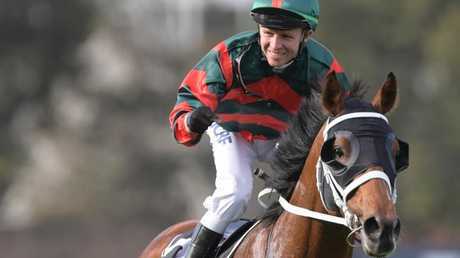 Waller said The Autumn Sun was likely to go next to the Caulfield Guineas (1600m) on October 13. After Saturday's win, Labbrokes fixed odds firmed the colt into $3 favourite. "I'd say the Caulfield Guineas is his next start and the owners are hellbent on winning a Derby, too,'' Waller said. "His value, however, has fortunately skyrocketed again today and he'll have a price tag now so maybe we can tick the box of winning a derby as well. "But I'll be pushing not to rush him to the spring (Victoria) Derby because it's so quick, it's a long way for a young horse. So we'll see who gets a good say, the owner or the trainer." Zousain is likely to follow the trail his sire blazed so successfully five years ago and be aimed at the Group 1 Coolmore Stud Stakes on Derby Day. "Zoustar had a little more time between the Golden Rose and the Coolmore so we ran him in the Roman Consul Stakes in between,'' Waller said. Jason Collett, rider of minor placegetter Graff, felt his colt "raced really keen." "Graff was probably too keen to see out a strong 1400m. When he quickened he was good but it was a bit short lived,'' Collett said. News IF YOU are fortunate enough to know her, then you know Sally Miller is one amazing woman, mother, wife and teacher.